ProSeries 30 in. 3.91 cu. ft. Battery Spark Ignition Gas Range. 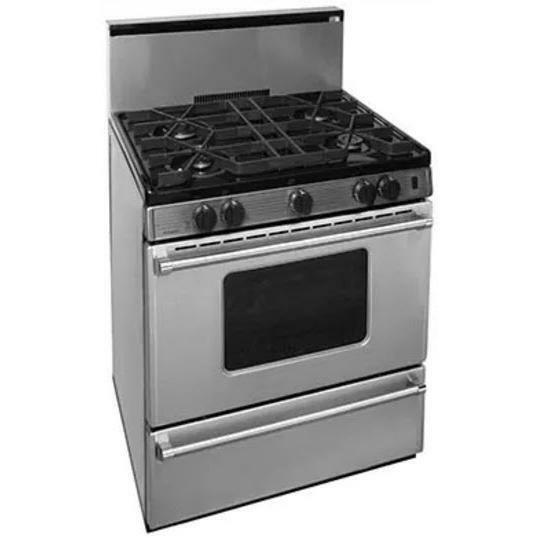 Features a stainless steel finish, four sealed burners and a broiler drawer. Easily converts from natural gas to liquid propane without the need to purchase a conversion kit. Roll out drop door broiler with smokeless two piece pan and tray. Provide extensive selection of infinite settings between high and simmer on all burners controlled with large commercial style knobs. Your assurance of quality and performance. Plug-in coil burners are simple to remove for easy cleaning.